Get behind the wheel of a stylish new car today at McDonald Mazda West by financing or leasing a new 2018 Mazda3 4-Door. Compare the 2018 Mazda3 sedan to competitors like the 2018 Honda Civic, 2018 Toyota Corolla, and 2018 Subaru Impreza and you’ll see why so many savvy shoppers are choosing this Mazda model. Take a test-drive now at our Mazda dealership near Denver, CO, to experience the new Mazda3 in person and to explore your Mazda financing options! The new 2018 Mazda3 is a versatile car that provides luxurious amenities and smooth performance that never goes out of style. The standard 2.0-liter SKYACTIV®-G DOHC 16-valve 4-cylinder engine generates all the power you’ll need to soar down open Colorado roads, while up to 37 highway mpg allows you to stay on the road much longer than other sedans. New Mazda3 models also come equipped with a standard SKYACTIV®-DRIVE 6-speed automatic transmission with manual-shift and Sport mode. Move inside the cabin and you’ll find premium features like the MAZDA CONNECT™ Infotainment System, a 7-inch full-color touchscreen display, a Rearview Camera and more. The Mazda3 also offers advanced driver-assistive features like Smart City Brake Support and a full-color Active Driving Display. Compare the 2018 Mazda3 to the new Civic, Corolla, and Impreza to see how it stacks up against the competition. 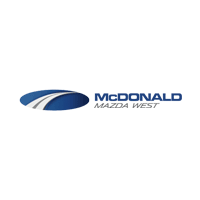 Begin the Mazda financing process now at McDonald Mazda West so you can buy or lease a new Mazda3!